Originally posted in 2011, this key article is an important reminder that WW2 was staged by the Illuminati to degrade and destroy Europe and Christian Western civilization. All wars are genocides designed to bring about the satanic New World Order. The cream of the young generation, SOE agents, were marked for liquidation. Note– I will be reposting key articles for newcomers to the Masonic Jewish (Illuminati) Conspiracy. I hope this article will show the similarity between WW2 and today. Liberals and Conservatives at each other’s throats when Freemasons are pulling the strings on both sides. In the wake of D-Day June 6, 1944, hundreds of acts of sabotage were committed by the French Resistance — with one exception. There were none in the north and north west of France where they mattered most. 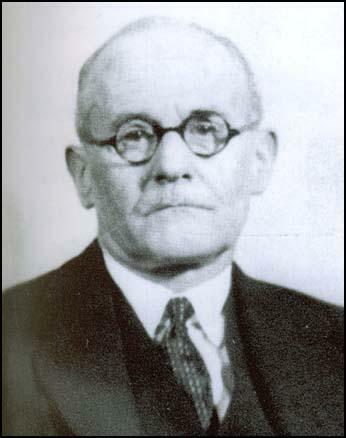 Dansey deliberately placed a double agent, Henri Dericourt, at the heart of the Prosper organization. Dericourt, a French pilot, was responsible for organizing the nighttime shuttling of agents and materiel in and out of France. He kept his handler, SS Sturmbannfuhrer Karl Baumelburg, head of counter sabotage in France, apprised of all the comings and goings, including the mail that passed back and forth. In return, the Gestapo allowed the operation to unfold which made Dericourt look very good indeed. MI-6 placed their own man Nicolas Bodington in SOE to vouch for Dericourt and block all efforts by SOE to uncover the traitor. Bodington actually met with Baumelburg on a visit to Paris in 1943. They all had known each other before the war. It was Bodington who introduced Baumelburg to Delicourt. Why would MI-6 engage in this kind of treason? Marshall offers this explanation. When Churchill formed a coalition government in 1940, Labour was promised ministerial control of one of the Intelligence Services. As a result, Special Operations Executive (SOE) was carved out of MI-6 and given responsibility for sabotage. In revenge, Dansey and MI-6 decided to sabotage SOE by placing Dericourt (left) at the heart of its primary network and instructing him to betray it to the Gestapo. After Prosper collapsed, Dansey and his superior, Sir Stewart Menzies lobbied to have SOE dissolved. In 1946, it was folded back into MI-6. Since the network was doomed, they had Illuminatus Winston Churchill summon the heroic Francis Suttill to a private meeting where Churchill confided that D-Day would take place at Calais in September 1943.